Before the U.S. attack on Libya Trump said (vid) that the U.S. should demand 50% of the oil profits from the ‘rebels’ it hoped to put into place: “[They] should have said: We’ll help you but we want 50% of your oil.” I likely requested a similar deal from Guaidó. Article 233 of the Constitution of the Bolivarian Republic of Venezuela (pdf) is not a valid legal basis for Guaidó himself or for the Venezuelan National Assembly to declare him president. It regulates the procedures in the case that the elected or sitting president “becomes permanently unavailable” which Maduro is obviously not. To cite Article 233 for claiming the presidency is a scam that no court will accept. To confront rioting protestors is the job of the local police and the National Guard of Venezuela which “can serve as gendarmerie, perform civil defense roles, or serve as a reserve light infantry force.” While the National Guard is formally a military service it has its own line of command. Since 2002 Chavez and then Maduro have cleaned up the military. It has also received a number of perks. Many nationalized companies are led by (former) military officers. To base a plan for a coup on an unfounded hope of military support is crazy. If that legal determination is made, it will soon be tested in court. As the flawed quoting of article 233 as a basis for Guaidó’s self declaration as president is not legally valid, any such determination will be flawed. That the administration has not thought of this before it acted is quite curious. If the U.S. stops payment for oil to the Maduro government, Venezuela will obviously stop shipping oil to the States. Several large Gulf Coast refineries are geared specifically to that heavy type of oil. They will have to stop working and gas prices in the U.S. will increase. One wonders how Trump’s voters will like that. Phase 1. Support the self declared president Guaidó; Phase 2: … (wishful thinking) …; Phase 3: Take half of their oil! This is similar to Trump’s other genius plan that now leads to the closing of U.S. airports. Phase 1 of that plan was to shutdown the U.S. government. 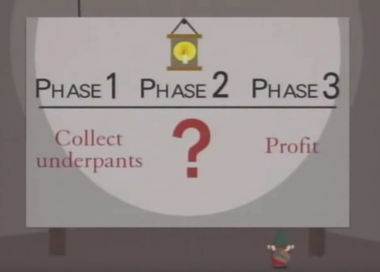 Phase 2 foresaw that the Democrats give him money. Phase 3 was the Great Wall on the southern border that would help him to get reelected. That plan also failed because of wishful thinking. It also costs Trump at the polls. …sure there are Venezuelans who don’t like their government, but their existence doesn’t justify US interventionism. Secondly, it’s a known fact that online trolls will be employed to help manufacture support for all sorts of geopolitical agendas, from Israel’s shill army to the MEK terror cult’s anti-Iran troll farm to the Bana Alabed psyop for Syria. And here’s this example, just for your information, of a Twitter account talking about how much fun she’s having in Paris and then a few days later claiming she’s in Venezuela waiting in “5+ hour queues to buy a loaf of bread.” Be skeptical of what strangers on social media tell you about what’s happening inside a nation that’s been targeted by the empire, please. of the Presidency of the Republic. Presidency of the Republic until such term is completed.